Since they were first dreamed up explanations of the very small (quantum mechanics) and the very large (general relativity) have both been highly successful at describing their respective spheres of influence. Yet, these two descriptions of our physical universe are not compatible, particularly when it comes to describing gravity. Indeed, physicists and theorists have struggled for decades to unite these two frameworks. Many agree that we need a new theory (of everything). One new idea, from theorist Erik Verlinde of the University of Amsterdam, proposes that time is an emergent construct (it’s not a fundamental building block) and that dark matter is an illusion. Unifying quantum mechanics and general relativity requires reconciling their absolute and relative notions of time. Recently, a promising burst of research on quantum gravity has provided an outline of what the reconciliation might look like — as well as insights on the true nature of time. As I described in an article this week on a new theoretical attempt to explain away dark matter, many leading physicists now consider space-time and gravity to be “emergent” phenomena: Bendy, curvy space-time and the matter within it are a hologram that arises out of a network of entangled qubits (quantum bits of information), much as the three-dimensional environment of a computer game is encoded in the classical bits on a silicon chip. “I think we now understand that space-time really is just a geometrical representation of the entanglement structure of these underlying quantum systems,” said Mark Van Raamsdonk, a theoretical physicist at the University of British Columbia. 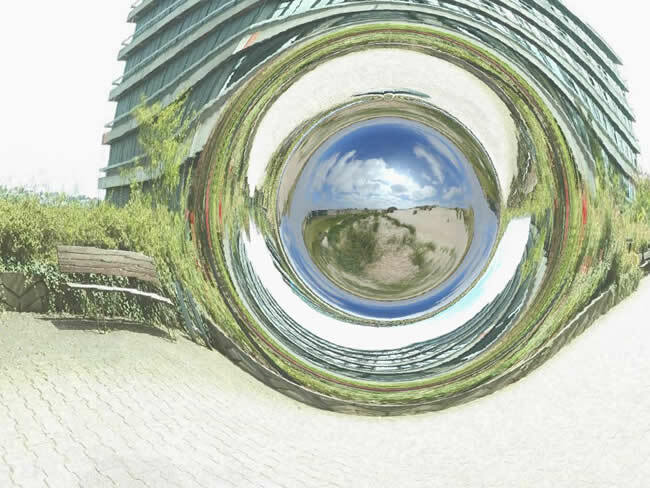 Researchers have worked out the math showing how the hologram arises in toy universes that possess a fisheye space-time geometry known as “anti-de Sitter” (AdS) space. In these warped worlds, spatial increments get shorter and shorter as you move out from the center. Eventually, the spatial dimension extending from the center shrinks to nothing, hitting a boundary. The existence of this boundary — which has one fewer spatial dimension than the interior space-time, or “bulk” — aids calculations by providing a rigid stage on which to model the entangled qubits that project the hologram within. “Inside the bulk, time starts bending and curving with the space in dramatic ways,” said Brian Swingle of Harvard and Brandeis universities. “We have an understanding of how to describe that in terms of the ‘sludge’ on the boundary,” he added, referring to the entangled qubits. The states of the qubits evolve according to universal time as if executing steps in a computer code, giving rise to warped, relativistic time in the bulk of the AdS space. The only thing is, that’s not quite how it works in our universe. Here, the space-time fabric has a “de Sitter” geometry, stretching as you look into the distance. The fabric stretches until the universe hits a very different sort of boundary from the one in AdS space: the end of time. At that point, in an event known as “heat death,” space-time will have stretched so much that everything in it will become causally disconnected from everything else, such that no signals can ever again travel between them. The familiar notion of time breaks down. From then on, nothing happens. Image: Image of (1 + 1)-dimensional anti-de Sitter space embedded in flat (1 + 2)-dimensional space. The t1- and t2-axes lie in the plane of rotational symmetry, and the x1-axis is normal to that plane. The embedded surface contains closed timelike curves circling the x1 axis, though these can be eliminated by “unrolling” the embedding (more precisely, by taking the universal cover). Courtesy: Krishnavedala. Wikipedia. Creative Commons Attribution-Share Alike 3.0. Leave aside the fact that there is no direct evidence for the existence of dark matter. In fact, theories that indirectly point to its existence seem rather questionable as well. That said, cosmologists are increasingly convinced that dark matter’s gravitational effects can be derived from recent observations of gravitationally lenses galaxy clusters. Some researchers postulate that this eerily murky non-substance — it doesn’t interact with anything in our visible universe except, perhaps, gravity — may be a cause for activities much closer to home. All very interesting. Earlier this year, Dr. Sabine Hossenfelder, a theoretical physicist in Stockholm, made the jarring suggestion that dark matter might cause cancer. She was not talking about the “dark matter” of the genome (another term for junk DNA) but about the hypothetical, lightless particles that cosmologists believe pervade the universe and hold the galaxies together. Though it has yet to be directly detected, dark matter is presumed to exist because we can see the effects of its gravity. As its invisible particles pass through our bodies, they could be mutating DNA, the theory goes, adding at an extremely low level to the overall rate of cancer. It was unsettling to see two such seemingly different realms, cosmology and oncology, suddenly juxtaposed. But that was just the beginning. Shortly after Dr. Hossenfelder broached her idea in an online essay, Michael Rampino, a professor at New York University, added geology and paleontology to the picture. Dark matter, he proposed in an article for the Royal Astronomical Society, is responsible for the mass extinctions that have periodically swept Earth, including the one that killed the dinosaurs. His idea is based on speculations by other scientists that the Milky Way is sliced horizontally through its center by a thin disk of dark matter. As the sun, traveling around the galaxy, bobs up and down through this darkling plane, it generates gravitational ripples strong enough to dislodge distant comets from their orbits, sending them hurtling toward Earth. An earlier version of this hypothesis was put forth last year by the Harvard physicists Lisa Randall and Matthew Reece. But Dr. Rampino has added another twist: During Earth’s galactic voyage, dark matter accumulates in its core. There the particles self-destruct, generating enough heat to cause deadly volcanic eruptions. Struck from above and below, the dinosaurs succumbed. It is surprising to see something as abstract as dark matter take on so much solidity, at least in the human mind. The idea was invented in the early 1930s as a theoretical contrivance — a means of explaining observations that otherwise didn’t make sense. Galaxies appear to be rotating so fast that they should have spun apart long ago, throwing off stars like sparks from a Fourth of July pinwheel. There just isn’t enough gravity to hold a galaxy together, unless you assume that it hides a huge amount of unseen matter — particles that neither emit or absorb light. Some mavericks propose alternatives, attempting to tweak the equations of gravity to account for what seems like missing mass. But for most cosmologists, the idea of unseeable matter has become so deeply ingrained that it has become almost impossible to do without it. Said to be five times more abundant than the stuff we can see, dark matter is a crucial component of the theory behind gravitational lensing, in which large masses like galaxies can bend light beams and cause stars to appear in unexpected parts of the sky. That was the explanation for the spectacular observation of an “Einstein Cross” reported last month. Acting like an enormous lens, a cluster of galaxies deflected the light of a supernova into four images — a cosmological mirage. The light for each reflection followed a different path, providing glimpses of four different moments of the explosion. But not even a galactic cluster exerts enough gravity to bend light so severely unless you postulate that most of its mass consists of hypothetical dark matter. In fact, astronomers are so sure that dark matter exists that they have embraced gravitational lensing as a tool to map its extent. Dark matter, in other words, is used to explain gravitational lensing, and gravitational lensing is taken as more evidence for dark matter. Some skeptics have wondered if this is a modern-day version of what ancient astronomers called “saving the phenomena.” With enough elaborations, a theory can account for what we see without necessarily describing reality. The classic example is the geocentric model of the heavens that Ptolemy laid out in the Almagest, with the planets orbiting Earth along paths of complex curlicues. Ptolemy apparently didn’t care whether his filigrees were real. What was important to him was that his model worked, predicting planetary movements with great precision. Modern scientists are not ready to settle for such subterfuge. To show that dark matter resides in the world and not just in their equations, they are trying to detect it directly. Though its identity remains unknown, most theorists are betting that dark matter consists of WIMPs — weakly interacting massive particles. If they really exist, it might be possible to glimpse them when they interact with ordinary matter. Image: Abell 1689 galaxy cluster. Courtesy ofNASA, ESA, and D. Coe (NASA JPL/Caltech and STScI). Another day, another physics paper describing the origin of the universe. This is no wonder. Since the development of general relativity and quantum mechanics — two mutually incompatible descriptions of our reality — theoreticians have been scurrying to come up with a grand theory, a rapprochement of sorts. This one describes the universe as a quantum fluid, perhaps made up of hypothesized gravitons. The prevailing model of cosmology, based on Einstein’s theory of general relativity, puts the universe at around 13.8 billion years old and suggests it originated from a “singularity” – an infinitely small and dense point – at the Big Bang. To understand what happened inside that tiny singularity, physicists must marry general relativity with quantum mechanics – the laws that govern small objects. Applying both of these disciplines has challenged physicists for decades. “The Big Bang singularity is the most serious problem of general relativity, because the laws of physics appear to break down there,” says Ahmed Farag Ali, a physicist at Zewail City of Science and Technology, Egypt. In an effort to bring together the laws of quantum mechanics and general relativity, and to solve the singularity puzzle, Ali and Saurya Das, a physicist at the University of Lethbridge in Alberta Canada, employed an equation that predicts the development of singularities in general relativity. That equation had been developed by Das’s former professor, Amal Kumar Raychaudhuri, when Das was an undergraduate student at Presidency University, in Kolkata, India, so Das was particularly familiar and fascinated by it. When Ali and Das made small quantum corrections to the Raychaudhuri equation, they realised it described a fluid, made up of small particles, that pervades space. Physicists have long believed that a quantum version of gravity would include a hypothetical particle, called the graviton, which generates the force of gravity. In their new model — which will appear in Physics Letters B in February — Ali and Das propose that such gravitons could form this fluid. To understand the origin of the universe, they used this corrected equation to trace the behaviour of the fluid back through time. Surprisingly, they found that it did not converge into a singularity. Instead, the universe appears to have existed forever. Although it was smaller in the past, it never quite crunched down to nothing, says Das. The model could also help solve two other cosmic mysteries. In the late 1990s, astronomers discovered that the expansion of the universe is accelerating due the presence of a mysterious dark energy, the origin of which is not known. The model has the potential to explain it since the fluid creates a minor but constant outward force that expands space. “This is a happy offshoot of our work,” says Das. Astronomers also now know that most matter in the universe is in an invisible mysterious form called dark matter, only perceptible through its gravitational effect on visible matter such as stars. When Das and a colleague set the mass of the graviton in the model to a small level, they could make the density of their fluid match the universe’s observed density of dark matter, while also providing the right value for dark energy’s push. Enemy number one in this case is not your favorite team’s arch-rival or your political nemesis or your neighbor’s nocturnal barking dog. It is not sugar, nor is it trans-fat. Enemy number one is not North Korea (close), nor is it the latest group of murderous terrorists (closer). The real enemy is gravity. Not the movie, that is, but the natural phenomenon. Gravity is constricting: it anchors us to our measly home planet, making extra-terrestrial exploration rather difficult. Gravity is painful: it drags us down, it makes us fall — and when we’re down , it helps other things fall on top of us. Gravity is an enigma. But help may not be too distant; enter The Gravity Research Foundation. While the foundation’s mission may no longer be to counteract gravity, it still aims to help us better understand. Not long after the bombings of Hiroshima and Nagasaki, while the world was reckoning with the specter of nuclear energy, a businessman named Roger Babson was worrying about another of nature’s forces: gravity. It had been 55 years since his sister Edith drowned in the Annisquam River, in Gloucester, Mass., when gravity, as Babson later described it, “came up and seized her like a dragon and brought her to the bottom.” Later on, the dragon took his grandson, too, as he tried to save a friend during a boating mishap. “It seems as if there must be discovered some partial insulator of gravity which could be used to save millions of lives and prevent accidents,” Babson wrote in a manifesto, “Gravity — Our Enemy Number One.” In 1949, drawing on his considerable wealth, he started the Gravity Research Foundation and began awarding annual cash prizes for the best new ideas for furthering his cause. It turned out to be a hopeless one. By the time the 2014 awards were announced last month, the foundation was no longer hoping to counteract gravity — it forms the very architecture of space-time — but to better understand it. What began as a crank endeavor has become mainstream. Over the years, winners of the prizes have included the likes of Stephen Hawking, Freeman Dyson, Roger Penrose and Martin Rees. With his theory of general relativity, Einstein described gravity with an elegance that has not been surpassed. A mass like the sun makes the universe bend, causing smaller masses like planets to move toward it. The problem is that nature’s other three forces are described in an entirely different way, by quantum mechanics. In this system forces are conveyed by particles. Photons, the most familiar example, are the carriers of light. For many scientists, the ultimate prize would be proof that gravity is carried by gravitons, allowing it to mesh neatly with the rest of the machine. So far that has been as insurmountable as Babson’s old dream. After nearly a century of trying, the best physicists have come up with is superstring theory, a self-consistent but possibly hollow body of mathematics that depends on the existence of extra dimensions and implies that our universe is one of a multitude, each unknowable to the rest. With all the accomplishments our species has achieved, we could be forgiven for concluding that we have reached a dead end. But human nature compels us to go on. This year’s top gravity prize of $4,000 went to Lawrence Krauss and Frank Wilczek. Dr. Wilczek shared a Nobel Prize in 2004 for his part in developing the theory of the strong nuclear force, the one that holds quarks together and forms the cores of atoms. So far gravitons have eluded science’s best detectors, like LIGO, the Laser Interferometer Gravitational-Wave Observatory. Mr. Dyson suggested at a recent talk that the search might be futile, requiring an instrument with mirrors so massive that they would collapse to form a black hole — gravity defeating its own understanding. But in their paper Dr. Krauss and Dr. Wilczek suggest how gravitons might leave their mark on cosmic background radiation, the afterglow of the Big Bang. There are other mysteries to contend with. Despite the toll it took on Babson’s family, theorists remain puzzled over why gravity is so much weaker than electromagnetism. Hold a refrigerator magnet over a paper clip, and it will fly upward and away from Earth’s pull. Reaching for an explanation, the physicists Lisa Randall and Raman Sundrum once proposed that gravity is diluted because it leaks into a parallel universe. Striking off in a different direction, Dr. Randall and another colleague, Matthew Reece, recently speculated that the pull of a disk of dark matter might be responsible for jostling the solar system and unleashing periodic comet storms like one that might have killed off the dinosaurs. He won the prize, the foundation became more respectable, and DeWitt went on to become one of the most prominent theorists of general relativity. Babson, however, was not entirely deterred. In 1962 after more than 100 prominent Atlantans were killed in a plane crash in Paris, he donated $5,000 to Emory University along with a marble monument “to remind students of the blessings forthcoming” once gravity is counteracted. He paid for similar antigravity monuments at more than a dozen campuses, including one at Tufts University, where newly minted doctoral students in cosmology kneel before it in a ceremony in which an apple is dropped on their heads. “She was 4. She was at school playing tag, slipped and hit her head, and that was it. The stupidest thing.” It was gravity that did her in. 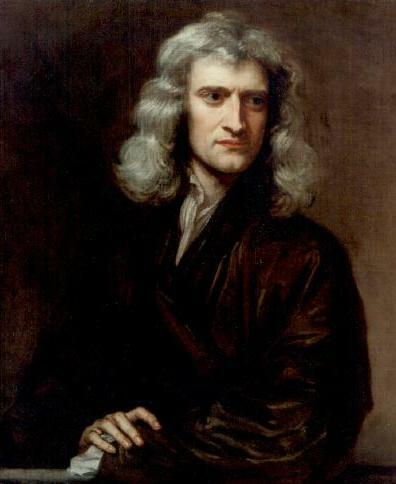 Image: Portrait of Isaac Newton (1642-1727) by Sir Godfrey Kneller (1646–1723). Courtesy of Wikipedia. Physicists and astronomers observe the very small and the very big. Although they are focused on very different areas of scientific endeavor and discovery, they tend to agree on one key observation: 95.5 of the cosmos is currently invisible to us. That is, only around 4.5 percent of our physical universe is made up of matter or energy that we can see or sense directly through experimental interaction. The rest, well, it’s all dark — so-called dark matter and dark energy. But nobody really knows what or how or why. Effectively, despite tremendous progress in our understanding of our world, we are still in a global “Dark Age”. TO OUR eyes, stars define the universe. To cosmologists they are just a dusting of glitter, an insignificant decoration on the true face of space. Far outweighing ordinary stars and gas are two elusive entities: dark matter and dark energy. We don’t know what they are… except that they appear to be almost everything. These twin apparitions might be enough to give us pause, and make us wonder whether all is right with the model universe we have spent the past century so carefully constructing. And they are not the only thing. Our standard cosmology also says that space was stretched into shape just a split second after the big bang by a third dark and unknown entity called the inflaton field. That might imply the existence of a multiverse of countless other universes hidden from our view, most of them unimaginably alien – just to make models of our own universe work. Are these weighty phantoms too great a burden for our observations to bear – a wholesale return of conjecture out of a trifling investment of fact, as Mark Twain put it? The physical foundation of our standard cosmology is Einstein’s general theory of relativity. Einstein began with a simple observation: that any object’s gravitational mass is exactly equal to its resistance to acceleration , or inertial mass. From that he deduced equations that showed how space is warped by mass and motion, and how we see that bending as gravity. Apples fall to Earth because Earth’s mass bends space-time. In a relatively low-gravity environment such as Earth, general relativity’s effects look very like those predicted by Newton’s earlier theory, which treats gravity as a force that travels instantaneously between objects. With stronger gravitational fields, however, the predictions diverge considerably. One extra prediction of general relativity is that large accelerating masses send out tiny ripples in the weave of space-time called gravitational waves. While these waves have never yet been observed directly, a pair of dense stars called pulsars, discovered in 1974, are spiralling in towards each other just as they should if they are losing energy by emitting gravitational waves. Gravity is the dominant force of nature on cosmic scales, so general relativity is our best tool for modelling how the universe as a whole moves and behaves. But its equations are fiendishly complicated, with a frightening array of levers to pull. If you then give them a complex input, such as the details of the real universe’s messy distribution of mass and energy, they become effectively impossible to solve. To make a working cosmological model, we make simplifying assumptions. The main assumption, called the Copernican principle, is that we are not in a special place. The cosmos should look pretty much the same everywhere – as indeed it seems to, with stuff distributed pretty evenly when we look at large enough scales. This means there’s just one number to put into Einstein’s equations: the universal density of matter. Einstein’s own first pared-down model universe, which he filled with an inert dust of uniform density, turned up a cosmos that contracted under its own gravity. He saw that as a problem, and circumvented it by adding a new term into the equations by which empty space itself gains a constant energy density. Its gravity turns out to be repulsive, so adding the right amount of this “cosmological constant” ensured the universe neither expanded nor contracted. When observations in the 1920s showed it was actually expanding, Einstein described this move as his greatest blunder. It was left to others to apply the equations of relativity to an expanding universe. They arrived at a model cosmos that grows from an initial point of unimaginable density, and whose expansion is gradually slowed down by matter’s gravity. This was the birth of big bang cosmology. Back then, the main question was whether the expansion would ever come to a halt. The answer seemed to be no; there was just too little matter for gravity to rein in the fleeing galaxies. The universe would coast outwards forever. Then the cosmic spectres began to materialise. The first emissary of darkness put a foot in the door as long ago as the 1930s, but was only fully seen in the late 1970s when astronomers found that galaxies are spinning too fast. The gravity of the visible matter would be too weak to hold these galaxies together according to general relativity, or indeed plain old Newtonian physics. Astronomers concluded that there must be a lot of invisible matter to provide extra gravitational glue. The existence of dark matter is backed up by other lines of evidence, such as how groups of galaxies move, and the way they bend light on its way to us. It is also needed to pull things together to begin galaxy-building in the first place. Overall, there seems to be about five times as much dark matter as visible gas and stars. Dark matter’s identity is unknown. It seems to be something beyond the standard model of particle physics, and despite our best efforts we have yet to see or create a dark matter particle on Earth (see “Trouble with physics: Smashing into a dead end”). But it changed cosmology’s standard model only slightly: its gravitational effect in general relativity is identical to that of ordinary matter, and even such an abundance of gravitating stuff is too little to halt the universe’s expansion. The second form of darkness required a more profound change. In the 1990s, astronomers traced the expansion of the universe more precisely than ever before, using measurements of explosions called type 1a supernovae. They showed that the cosmic expansion is accelerating. It seems some repulsive force, acting throughout the universe, is now comprehensively trouncing matter’s attractive gravity. This could be Einstein’s cosmological constant resurrected, an energy in the vacuum that generates a repulsive force, although particle physics struggles to explain why space should have the rather small implied energy density. So imaginative theorists have devised other ideas, including energy fields created by as-yet-unseen particles, and forces from beyond the visible universe or emanating from other dimensions. Whatever it might be, dark energy seems real enough. 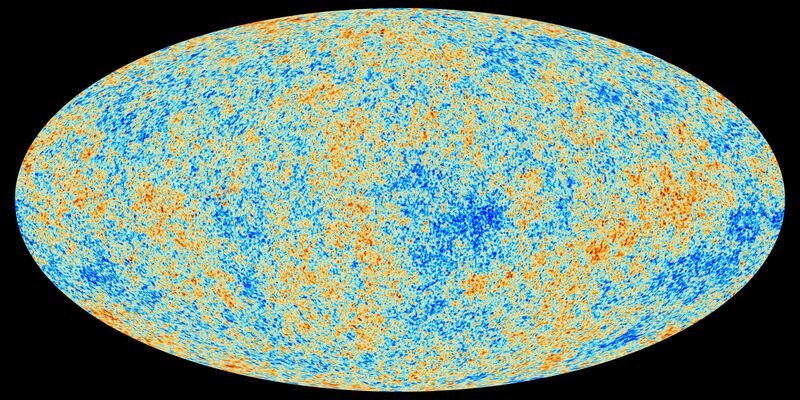 The cosmic microwave background radiation, released when the first atoms formed just 370,000 years after the big bang, bears a faint pattern of hotter and cooler spots that reveals where the young cosmos was a little more or less dense. The typical spot sizes can be used to work out to what extent space as a whole is warped by the matter and motions within it. It appears to be almost exactly flat, meaning all these bending influences must cancel out. This, again, requires some extra, repulsive energy to balance the bending due to expansion and the gravity of matter. A similar story is told by the pattern of galaxies in space. All of this leaves us with a precise recipe for the universe. The average density of ordinary matter in space is 0.426 yoctograms per cubic metre (a yoctogram is 10-24 grams, and 0.426 of one equates to about 250 protons), making up 4.5 per cent of the total energy density of the universe. Dark matter makes up 22.5 per cent, and dark energy 73 per cent (see diagram). Our model of a big-bang universe based on general relativity fits our observations very nicely – as long as we are happy to make 95.5 per cent of it up. Arguably, we must invent even more than that. To explain why the universe looks so extraordinarily uniform in all directions, today’s consensus cosmology contains a third exotic element. When the universe was just 10-36 seconds old, an overwhelming force took over. Called the inflaton field, it was repulsive like dark energy, but far more powerful, causing the universe to expand explosively by a factor of more than 1025, flattening space and smoothing out any gross irregularities. When this period of inflation ended, the inflaton field transformed into matter and radiation. Quantum fluctuations in the field became slight variations in density, which eventually became the spots in the cosmic microwave background, and today’s galaxies. Again, this fantastic story seems to fit the observational facts. And again it comes with conceptual baggage. Inflation is no trouble for general relativity – mathematically it just requires an add-on term identical to the cosmological constant. But at one time this inflaton field must have made up 100 per cent of the contents of the universe, and its origin poses as much of a puzzle as either dark matter or dark energy. What’s more, once inflation has started it proves tricky to stop: it goes on to create a further legion of universes divorced from our own. For some cosmologists, the apparent prediction of this multiverse is an urgent reason to revisit the underlying assumptions of our standard cosmology (see “Trouble with physics: Time to rethink cosmic inflation?”). The model faces a few observational niggles, too. The big bang makes much more lithium-7 in theory than the universe contains in practice. The model does not explain the possible alignment in some features in the cosmic background radiation, or why galaxies along certain lines of sight seem biased to spin left-handedly. A newly discovered supergalactic structure 4 billion light years long calls into question the assumption that the universe is smooth on large scales. 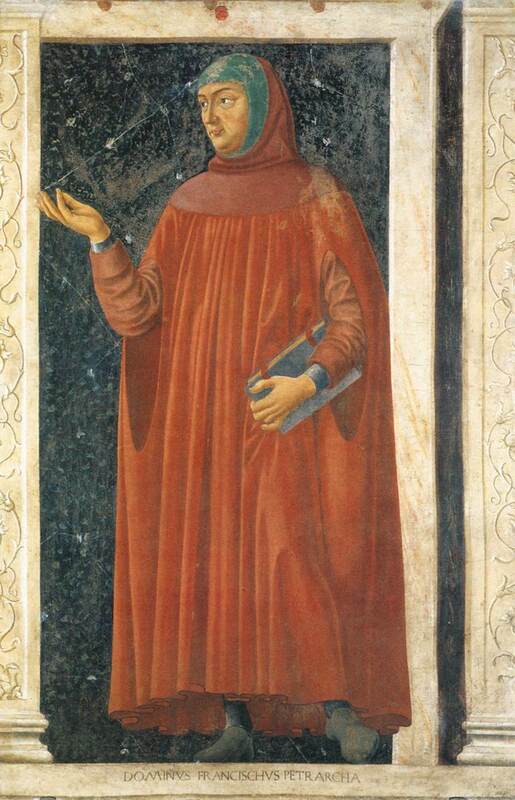 Image: Petrarch, who first conceived the idea of a European “Dark Age”, by Andrea di Bartolo di Bargilla, c1450. Courtesy of Galleria degli Uffizi, Florence, Italy / Wikipedia. Last week’s announcement that cosmologists had found signals of gravitational waves from the primordial cosmic microwave background of the Big Bang made many headlines, even on cable news. If verified by separate experiments this will be ground-breaking news indeed — much like the discovery of the Higgs Boson in 2012. Should the result stand, this may well pave the way for new physics and greater support for the multiverse theory of the universe. So, in addition to the notion that we may not be alone in the vast cosmos, we’ll now have to consider not being alone in a cosmos made up of multiple universes — our universe may not be alone either! Wave hello to the multiverse? Ripples in the very fabric of the cosmos, unveiled this week, are allowing us to peer further back in time than anyone thought possible, showing us what was happening in the first slivers of a second after the big bang. The discovery of these primordial waves could solidify the idea that our young universe went through a rapid growth spurt called inflation. And that theory is linked to the idea that the universe is constantly giving birth to smaller “pocket” universes within an ever-expanding multiverse. The waves in question are called gravitational waves, and they appear in Einstein’s highly successful theory of general relativity (see “A surfer’s guide to gravitational waves”). On 17 March, scientists working with the BICEP2 telescope in Antarctica announced the first indirect detection of primordial gravitational waves. This version of the ripples was predicted to be visible in maps of the cosmic microwave background (CMB), the earliest light emitted in the universe, roughly 380,000 years after the big bang. The BICEP2 team had spent three years analysing CMB data, looking for a distinctive curling pattern called B-mode polarisation. These swirls indicate that the light of the CMB has been twisted, or polarised, into specific curling alignments. In two papers published online on the BICEP project website, the team said they have high confidence the B-mode pattern is there, and that they can rule out alternative explanations such as dust in our own galaxy, distortions caused by the gravity of other galaxies and errors introduced by the telescope itself. That suggests the swirls could have been left only by the very first gravitational waves being stretched out by inflation. And for some theorists, simply proving that inflation happened at all would be a sign of the multiverse. The simplest models of inflation, which the BICEP2 results seem to support, require a particle called an inflaton to push space-time apart at high speed. “Inflation depends on a kind of material that turns gravity on its head and causes it to be repulsive,” says Alan Guth at the Massachusetts Institute of Technology, another author of inflationary theory. Theory says the inflaton particle decays over time like a radioactive element, so for inflation to work, these hypothetical particles would need to last longer than the period of inflation itself. Afterwards, inflatons would continue to drive inflation in whatever pockets of the universe they inhabit, repeatedly blowing new universes into existence that then rapidly inflate before settling down. This “eternal inflation” produces infinite pocket universes to create a multiverse. In the meantime, studying the properties of the swirls in the CMB might reveal details of what the cosmos was like just after its birth. The power and frequency of the waves seen by BICEP2 show that they were rippling through a particle soup with an energy of about 1016 gigaelectronvolts, or 10 trillion times the peak energy expected at the Large Hadron Collider. At such high energies, physicists expect that three of the four fundamental forces in physics – the strong, weak and electromagnetic forces – would be merged into one. Given the huge potential of these results, scientists will be eagerly anticipating polarisation maps from projects such as the POLARBEAR experiment in Chile or the South Pole Telescope. The next full-sky CMB maps from the Planck space telescope are also expected to include polarisation data. Seeing a similar signal from one or more of these experiments would shore up the BICEP2 findings and make a firm case for inflation and boost hints of the multiverse and quantum gravity. One possible wrinkle is that previous temperature maps of the CMB suggested that the signal from primordial gravitational waves should be much weaker that what BICEP2 is seeing. Those results set theorists bickering about whether inflation really happened and whether it could create a multiverse. Several physicists suggested that we scrap the idea entirely for a new model of cosmic birth. Taken alone, the BICEP2 results give a strong-enough signal to clinch inflation and put the multiverse back in the game. But the tension with previous maps is worrying, says Paul Steinhardt at Princeton University, who helped to develop the original theory of inflation but has since grown sceptical of it. 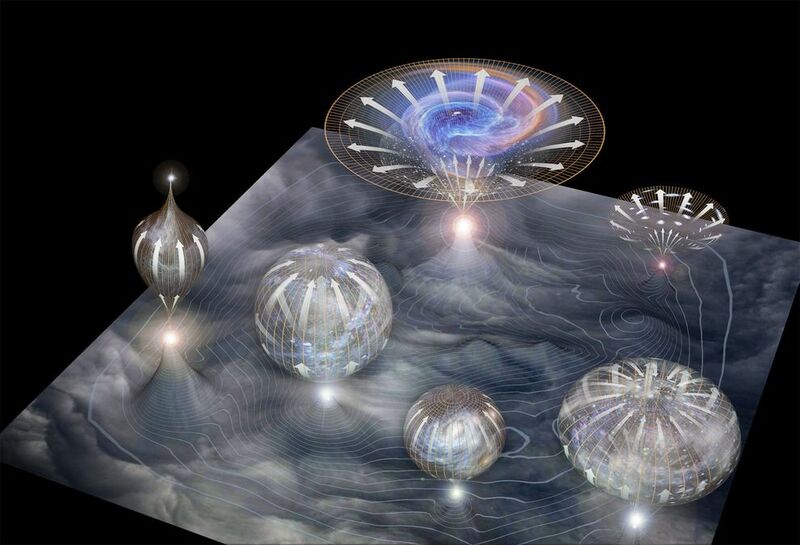 Image: Multiverse illustration. Courtesy of National Geographic. Gravity, the movie, made some “waves” at the recent Academy Awards ceremony in Hollywood. But the real star in this case, is the real gravity that seems to hold all macroscopic things in the cosmos together. And the waves in the this case are real gravitational waves. A long-running experiment based at the South Pole has discerned a signal from the Cosmic Microwave Background that points to the existence of gravitational waves. This is a discovery of great significance, if upheld, and confirms the Inflationary Theory of our universe’s exponential expansion just after the Big Bang. Theorists who first proposed this remarkable hypothesis — Alan Guth (1979) and Andrei Linde (1981) — are probably popping some champagne right now. The announcement yesterday that scientists working on the BICEP2 experiment in Antarctica had detected evidence of “inflation” may not appear incredible, but it is. It appears to confirm longstanding hypotheses about the Big Bang and the earliest moments of our universe, and could open a new path to resolving some of physics’ most difficult mysteries. What should be clear from this is that the universe is remarkably flat and regular – that is, there aren’t massive clumps of radiation in some areas and gaps in others. This doesn’t quite make intuitive sense. If the Big Bang really was a chaotic event, with energy and matter being created and destroyed within tiny fractions of nanoseconds, then we would expect the net result to be a universe that’s similarly chaotic in its structure. Something happened to smooth everything out, and that something is inflation. Inflation assumes that something must have happened to the rate of expansion of the universe, somewhere between 10-35 and 10-32 seconds after the Big Bang, to make it massively increase. It would mean that the size of the “lumps” would outpace the rate at which they appear in the cosmos, smoothing them out. For an analogy, imagine if the Moon was suddenly stretched out to the size of the Sun. You’d see – just before it collapsed in on itself – that its rifts and craters had become, relative to its new size, made barely perceptible. Just like a sheet being pulled tightly on a bed, a chaotic structure becomes more uniform. Inflation, first theorised by Alan Guth in 1979 and refined by Andrei Linde in 1981, became the best hypothesis to explain what we were observing in the universe. It also seemed to offer a way to better understand how dark energy drove the expansion of the Big Bang, and even possibly lead a way towards unifying quantum mechanics with general relativity. That is, if it was correct. And there have been plenty of theories which tied-up some loose ends only to come apart with further observation. The key evidence needed to verify inflation would be in the form of gravitational waves – that is, ripples in spacetime. Such waves were a part of Einstein’s theory of general relativity, and in the 90s scientists observed some for the first time, but until now there’s never been any evidence of them from inside the cosmic background radiation. BICEP2, though, has found that evidence, and with it scientists now have a crucial piece of fact that can falsify other theories about the early universe and potentially open up entirely new areas of investigation. This is why it’s being compared with the discovery of the Higgs Boson last year, as just as that particle was fundamental to our understanding of molecular physics, so to is inflation to our understanding of the wider universe. Video: Professor physicist Chao-Lin Kuo delivers news of results from his gravitational wave experiment. Professor Andrei Linde reacts to the discovery, March 17, 2014. Courtesy of Stanford University. Since Einstein first published his elegant theory of General Relativity almost 100 years ago it has proved to be one of most powerful and enduring cornerstones of modern science. Yet theorists and researchers the world over know that it cannot possibly remain the sole answer to our cosmological questions. It answers questions about the very, very large — galaxies, stars and planets and the gravitational relationship between them. But it fails to tackle the science of the very, very small — atoms, their constituents and the forces that unite and repel them, which is addressed by the elegant and complex, but mutually incompatible Quantum Theory. So, scientists continue to push their measurements to ever greater levels of precision across both greater and smaller distances with one aim in mind — to test the limits of each theory and to see which one breaks down first. A recent highly precise and yet very long distance experiment, confirmed that Einstein’s theory still rules the heavens. The general theory of relativity is a remarkably successful model for gravity. However, many of the best tests for it don’t push its limits: they measure phenomena where gravity is relatively weak. Some alternative theories predict different behavior in areas subject to very strong gravity, like near the surface of a pulsar—the compact, rapidly rotating remnant of a massive star (also called a neutron star). For that reason, astronomers are very interested in finding a pulsar paired with another high-mass object. One such system has now provided an especially sensitive test of strong gravity. The system is a binary consisting of a high-mass pulsar and a bright white dwarf locked in mutual orbit with a period of about 2.5 hours. Using optical and radio observations, John Antoniadis and colleagues measured its properties as it spirals toward merger by emitting gravitational radiation. After monitoring the system for a number of orbits, the researchers determined its behavior is in complete agreement with general relativity to a high level of precision. The binary system was first detected in a survey of pulsars by the Green Bank Telescope (GBT). The pulsar in the system, memorably labeled PSR J0348+0432, emits radio pulses about once every 39 milliseconds (0.039 seconds). Fluctuations in the pulsar’s output indicated that it is in a binary system, though its companion lacked radio emissions. However, the GBT’s measurements were precise enough to pinpoint its location in the sky, which enabled the researchers to find the system in the archives of the Sloan Digital Sky Survey (SDSS). They determined the companion object was a particularly bright white dwarf, the remnant of the core of a star similar to our Sun. It and the pulsar are locked in a mutual orbit about 2.46 hours in length. Following up with the Very Large Telescope (VLT) in Chile, the astronomers built up enough data to model the system. Pulsars are extremely dense, packing a star’s worth of mass into a sphere roughly 10 kilometers in radius—far too small to see directly. White dwarfs are less extreme, but they still involve stellar masses in a volume roughly equivalent to Earth’s. That means the objects in the PSR J0348+0432 system can orbit much closer to each other than stars could—as little as 0.5 percent of the average Earth-Sun separation, or 1.2 times the Sun’s radius. The pulsar itself was interesting because of its relatively high mass: about 2.0 times that of the Sun (most observed pulsars are about 1.4 times more massive). Unlike more mundane objects, pulsar size doesn’t grow with mass; according to some models, a higher mass pulsar may actually be smaller than one with lower mass. As a result, the gravity at the surface of PSR J0348+0432 is far more intense than at a lower-mass counterpart, providing a laboratory for testing general relativity (GR). The gravitational intensity near PSR J0348+0432 is about twice that of other pulsars in binary systems, creating a more extreme environment than previously measured. According to GR, a binary emits gravitational waves that carry energy away from the system, causing the size of the orbit to shrink. For most binaries, the effect is small, but for compact systems like the one containing PSR J0348+0432, it is measurable. The first such system was found by Russel Hulse and Joseph Taylor; its discovery won the two astronomers the Nobel Prize. To test agreement with GR, physicists established a set of observable quantities. These include the rate of orbit decrease (which is a reflection of the energy loss to gravitational radiation) and something called the Shapiro delay. The latter phenomenon occurs because light emitted from the pulsar must travel through the intense gravitational field of the pulsar when exiting the system. This effect depends on the relative orientation of the pulsar to us, but alternative models also predict different observable results. In the case of the PSR J0348+0432 system, the change in orbital period and the Shapiro delay agreed with the predictions of GR, placing strong constraints on alternative theories. The researchers were also able to rule out energy loss from other, non-gravitational sources (rotation or electromagnetic phenomena). If the system continues as models predict, the white dwarf and pulsar will merge in about 400 million years—we don’t know what the product of that merger will be, so astronomers are undoubtedly marking their calendars now. The results are of potential use for the Laser Interferometer Gravitational-wave Observatory (LIGO) and other ground-based gravitational-wave detectors. These instruments are sensitive to the final death spiral of binaries like the one containing PSR J0348+0432. The current detection and observation strategies involve “templates,” or theoretical models of the gravitational wave signal from binaries. All information about the behavior of close pulsar binaries helps gravitational-wave astronomers refine those templates, which should improve the chances of detection. Of course, no theory can be “proven right” by experiment or observation—data provides evidence in support of or against the predictions of a particular model. However, the PSR J0348+0432 binary results placed stringent constraints on any alternative model to GR in the strong-gravity regime. (Certain other alternative models focus on altering gravity on large scales to explain dark energy and the acceleration expansion of the Universe.) Based on this new data, only theories that agree with GR to high precision are still standing—leaving general relativity the continuing champion theory of gravity. Image: Artist’s impression of the PSR J0348+0432 system. The compact pulsar (with beams of radio emission) produces a strong distortion of spacetime (illustrated by the green mesh). Courtesy of Science Mag. Cosmologists theorized the need for dark matter to account for hidden mass in our universe. Yet, as the name implies, it is proving rather hard to find. Now astronomers believe they see hints of it in ancient galactic collisions. Colliding clusters of galaxies may hold clues to a mysterious dark force at work in the universe. This force would act only on invisible dark matter, the enigmatic stuff that makes up 86 per cent of the mass in the universe. Dark matter famously refuses to interact with ordinary matter except via gravity, so theorists had assumed that its particles would be just as aloof with each other. But new observations suggest that dark matter interacts significantly with itself, while leaving regular matter out of the conversation. Some of the best evidence for dark matter’s existence came from the Bullet cluster , a smash-up in which a small galaxy cluster plunged through a larger one about 100 million years ago. Separated by hundreds of light years, the individual galaxies sailed right past each other, and the two clusters parted ways. But intergalactic gas collided and pooled on the trailing ends of each cluster. Mass maps of the Bullet cluster showed that dark matter stayed in line with the galaxies instead of pooling with the gas, proving that it can separate from ordinary matter. This also hinted that dark matter wasn’t interacting with itself, and was affected by gravity alone. Last year William Dawson of the University of California, Davis, and colleagues found an older set of clusters seen about 700 million years after their collision. Nicknamed the Musket Ball cluster, this smash-up told a different tale. When Dawson’s team analysed the concentration of matter in the Musket Ball, they found that galaxies are separated from dark matter by about 19,000 light years. “The galaxies outrun the dark matter. That’s what creates the offset,” Dawson said. “This is fitting that picture of self-interacting dark matter.” If dark matter particles do interact, perhaps via a dark force, they would slow down like the gas. This new picture could solve some outstanding mysteries in cosmology, Dawson said this week during a meeting of the American Astronomical Society in Long Beach, California. Non-interacting dark matter should sink to the cores of star clusters and dwarf galaxies, but observations show that it is more evenly distributed. If it interacts with itself, it could puff up and spread outward like a gas. 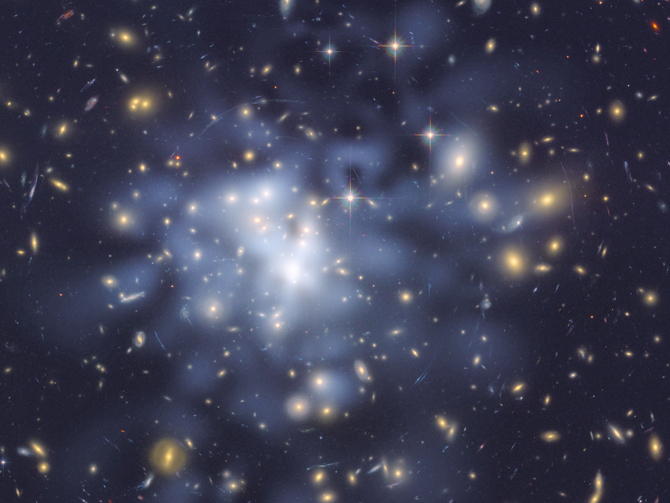 So why doesn’t the Bullet cluster show the same separation between dark matter and galaxies? Dawson thinks it’s a question of age – dark matter in the younger Bullet simply hasn’t had time to separate. Scientific consensus states that our universe is not only expanding, but expanding at an ever-increasing rate. So, sometime in the very distant future (tens of billions of years) our Milky Way galaxy will be mostly alone, accompanied only by its close galactic neighbors, such as Andromeda. All else in the universe will have receded beyond the horizon of visible light. And, yet for all the experimental evidence, no one knows the precise cause(s) of this acceleration or even of the expansion itself. But, there is no shortage of bold new theories. WE WILL be lonely in the late days of the cosmos. Its glittering vastness will slowly fade as countless galaxies retreat beyond the horizon of our vision. Tens of billions of years from now, only a dense huddle of nearby galaxies will be left, gazing out into otherwise blank space. That gloomy future comes about because space is expanding ever faster, allowing far-off regions to slip across the boundary from which light has time to reach us. We call the author of these woes dark energy, but we are no nearer to discovering its identity. Might the culprit be a repulsive force that emerges from the energy of empty space , or perhaps a modification of gravity at the largest scales? Each option has its charms, but also profound problems. But what if that mysterious force making off with the light of the cosmos is an alien echo of light itself? Light is just an expression of the force of electromagnetism, and vast electromagnetic waves of a kind forbidden by conventional physics, with wavelengths trillions of times larger than the observable universe, might explain dark energy’s baleful presence. That is the bold notion of two cosmologists who think that such waves could also account for the mysterious magnetic fields that we see threading through even the emptiest parts of our universe. Smaller versions could be emanating from black holes within our galaxy. It is almost two decades since we realised that the universe is running away with itself. The discovery came from observations of supernovae that were dimmer, and so further away, than was expected, and earned its discoverers the Nobel prize in physics in 2011. Prime suspect in the dark-energy mystery is the cosmological constant, an unchanging energy which might emerge from the froth of short-lived, virtual particles that according to quantum theory are fizzing about constantly in otherwise empty space. To cause the cosmic acceleration we see, dark energy would need to have an energy density of about half a joule per cubic kilometre of space. When physicists try to tot up the energy of all those virtual particles, however, the answer comes to either exactly zero (which is bad), or something so enormous that empty space would rip all matter to shreds (which is very bad). In this latter case the answer is a staggering 120 orders of magnitude out, making it a shoo-in for the least accurate prediction in all of physics. This stumbling block has sent some researchers down another path. They argue that in dark energy we are seeing an entirely new side to gravity. At distances of many billions of light years, it might turn from an attractive to a repulsive force. But it is dangerous to be so cavalier with gravity. Einstein’s general theory of relativity describes gravity as the bending of space and time, and predicts the motions of planets and spacecraft in our own solar system with cast-iron accuracy. Try bending the theory to make it fit acceleration on a cosmic scale, and it usually comes unstuck closer to home. So they decided to see what would happen if their mathematics described not masses and space-time, but magnets and voltages. That meant taking a fresh look at electromagnetism. Like most of nature’s fundamental forces, electromagnetism is best understood as a phenomenon in which things come chopped into little pieces, or quanta. In this case the quanta are photons: massless, chargeless particles carrying fluctuating electric and magnetic fields that point at right angles to their direction of motion. This description, called quantum electrodynamics or QED, can explain a vast range of phenomena, from the behaviour of light to the forces that bind molecules together. QED has arguably been tested more precisely than any other physical theory, but it has a dark secret. It wants to spit out not only photons, but also two other, alien entities. The first kind is a wave in which the electric field points along the direction of motion, rather than at right angles as it does with ordinary photons. This longitudinal mode moves rather like a sound wave in air. The second kind, called a temporal mode, has no magnetic field. Instead, it is a wave of pure electric potential, or voltage. Like all quantum entities, these waves come in particle packets, forming two new kinds of photon. As we have never actually seen either of these alien photons in reality, physicists found a way to hide them. They are spirited away using a mathematical fix called the Lorenz condition, which means that all their attributes are always equal and opposite, cancelling each other out exactly. “They are there, but you cannot see them,” says Beltrán. Beltrán and Maroto’s theory looked like electromagnetism, but without the Lorenz condition. So they worked through their equations to see what cosmological implications that might have. The strange waves normally banished by the Lorenz condition may come into being as brief quantum fluctuations – virtual waves in the vacuum – and then disappear again. In the early moments of the universe, however, there is thought to have been an episode of violent expansion called inflation, which was driven by very powerful repulsive gravity. The force of this expansion grabbed all kinds of quantum fluctuations and amplified them hugely. It created ripples in the density of matter, for example, which eventually seeded galaxies and other structures in the universe. Crucially, inflation could also have boosted the new electromagnetic waves. Beltrán and Maroto found that this process would leave behind vast temporal modes: waves of electric potential with wavelengths many orders of magnitude larger than the observable universe. These waves contain some energy but because they are so vast we do not perceive them as waves at all. So their energy would be invisible, dark… perhaps, dark energy? Beltrán and Maroto called their idea dark magnetism (arxiv.org/abs/1112.1106). Unlike the cosmological constant, it may be able to explain the actual quantity of dark energy in the universe. The energy in those temporal modes depends on the exact time inflation started. One plausible moment is about 10 trillionths of a second after the big bang, when the universe cooled below a critical temperature and electromagnetism split from the weak nuclear force to become a force in its own right. Physics would have suffered a sudden wrench, enough perhaps to provide the impetus for inflation. If inflation did happen at this “electroweak transition”, Beltrán and Maroto calculate that it would have produced temporal modes with an energy density close to that of dark energy. The correspondence is only within an order of magnitude, which may not seem all that precise. In comparison with the cosmological constant, however, it is mildly miraculous. The theory might also explain the mysterious existence of large-scale cosmic magnetic fields. Within galaxies we see the unmistakable mark of magnetic fields as they twist the polarisation of light. Although the turbulent formation and growth of galaxies could boost a pre-existing field, is it not clear where that seed field would have come from. Even more strangely, magnetic fields seem to have infiltrated the emptiest deserts of the cosmos. Their influence was noticed in 2010 by Andrii Neronov and Ievgen Vovk at the Geneva Observatory. Some distant galaxies emit blistering gamma rays with energies in the teraelectronvolt range. These hugely energetic photons should smack into background starlight on their way to us, creating electrons and positrons that in turn will boost other photons up to gamma energies of around 100 gigaelectronvolts. The trouble is that astronomers see relatively little of this secondary radiation. Neronov and Vovk suggest that is because a diffuse magnetic field is randomly bending the path of electrons and positrons, making their emission more diffuse (Science, vol 32, p 73). “It is difficult to explain cosmic magnetic fields on the largest scales by conventional mechanisms,” says astrophysicist Larry Widrow of Queen’s University in Kingston, Ontario, Canada. “Their existence in the voids might signal an exotic mechanism.” One suggestion is that giant flaws in space-time called cosmic strings are whipping them up. With dark magnetism, such a stringy solution would be superfluous. As well as the gigantic temporal modes, dark magnetism should also lead to smaller longitudinal waves bouncing around the cosmos. These waves could generate magnetism on the largest scales and in the emptiest voids. To begin with, Beltrán and Maroto had some qualms. “It is always dangerous to modify a well-established theory,” says Beltrán. Cosmologist Sean Carroll at the California Institute of Technology in Pasadena, echoes this concern. “They are doing extreme violence to electromagnetism. There are all sorts of dangers that things might go wrong,” he says. Such meddling could easily throw up absurdities, predicting that electromagnetic forces are different from what we actually see. The duo soon reassured themselves, however. Although the theory means that temporal and longitudinal modes can make themselves felt, the only thing that can generate them is an ultra-strong gravitational field such as the repulsive field that sprang up in the era of inflation. So within the atom, in all our lab experiments, and out there among the planets, electromagnetism carries on in just the same way as QED predicts. So how might we tell whether the idea is correct? Dark magnetism is not that easy to test. It is almost unchanging, and would stretch space in almost exactly the same way as a cosmological constant, so we can’t tell the two ideas apart simply by watching how cosmic acceleration has changed over time. Instead, the theory might be challenged by peering deep into the cosmic microwave background, a sea of radiation emitted when the universe was less than 400,000 years old. Imprinted on this radiation are the original ripples of matter density caused by inflation, and it may bear another ancient mark. The turmoil of inflation should have energised gravitational waves, travelling warps in space-time that stretch and squeeze everything they pass through. These waves should affect the polarisation of cosmic microwaves in a distinctive way, which could tell us about the timing and the violence of inflation. The European Space Agency’s Planck spacecraft might just spot this signature. If Planck or a future mission finds that inflation happened before the electroweak transition, at a higher energy scale, then that would rule out dark magnetism in its current form. Olmo thinks that the theory might anyhow need some numerical tweaking, so that might not be fatal, although it would be a blow to lose the link between the electroweak transition and the correct amount of dark energy. One day, we might even be able to see the twisted light of dark magnetism. In its present incarnation with inflation at the electroweak scale, the longitudinal waves would all have wavelengths greater than a few hundred million kilometres, longer than the distance from Earth to the sun. Detecting a light wave efficiently requires an instrument not much smaller than the wavelength, but in the distant future it might just be possible to pick up such waves using space-based radio telescopes linked up across the solar system. If inflation kicked in earlier at an even higher energy, as suggested by Olmo, some of the longitudinal waves could be much shorter. That would bring them within reach of Earth-based technology. Beltrán suggests that they might be detected with the Square Kilometre Array – a massive radio instrument due to come on stream within the next decade. If these dark electromagnetic waves can be created by strong gravitational fields, then they could also be produced by the strongest fields in the cosmos today, those generated around black holes. Beltrán suggests that waves may be emitted by the black hole at the centre of the Milky Way. They might be short enough for us to see – but they could easily be invisibly faint. Beltrán and Maroto are planning to do the calculations to find out. One thing they have calculated from their theory is the voltage of the universe. The voltage of the vast temporal waves of electric potential started at zero when they were first created at the time of inflation, and ramped up steadily. Today, it has reached a pretty lively 1027 volts, or a billion billion gigavolts. Just as well for us that it has nowhere to discharge. Unless, that is, some other strange quirk of cosmology brings a parallel universe nearby. The encounter would probably destroy the universe as we know it, but at least then our otherwise dark and lonely future would end with the mother of all lightning bolts. Intergalactic travel just became a lot easier, well, if only theoretically at the moment. IT IS not every day that a piece of science fiction takes a step closer to nuts-and-bolts reality. But that is what seems to be happening to wormholes. Enter one of these tunnels through space-time, and a few short steps later you may emerge near Pluto or even in the Andromeda galaxy millions of light years away. You probably won’t be surprised to learn that no one has yet come close to constructing such a wormhole. One reason is that they are notoriously unstable. Even on paper, they have a tendency to snap shut in the blink of an eye unless they are propped open by an exotic form of matter with negative energy, whose existence is itself in doubt. The findings raise the tantalising possibility that we might finally be able to detect a wormhole in space. Civilisations far more advanced than ours may already be shuttling back and forth through a galactic-wide subway system constructed from wormholes. And eventually we might even be able to use them ourselves as portals to other universes. Wormholes first emerged in Einstein’s general theory of relativity, which famously shows that gravity is nothing more than the hidden warping of space-time by energy, usually the mass-energy of stars and galaxies. Soon after Einstein published his equations in 1916, Austrian physicist Ludwig Flamm discovered that they also predicted conduits through space and time. But it was Einstein himself who made detailed investigations of wormholes with Nathan Rosen. In 1935, they concocted one consisting of two black holes, connected by a tunnel through space-time. Travelling through their wormhole was only possible if the black holes at either end were of a special kind. A conventional black hole has such a powerful gravitational field that material sucked in can never escape once it has crossed what is called the event horizon. The black holes at the end of an Einstein-Rosen wormhole would be unencumbered by such points of no return. Einstein and Rosen’s wormholes seemed a mere curiosity for another reason: their destination was inconceivable. The only connection the wormholes offered from our universe was to a region of space in a parallel universe, perhaps with its own stars, galaxies and planets. While today’s theorists are comfortable with the idea of our universe being just one of many, in Einstein and Rosen’s day such a multiverse was unthinkable. Fortunately, it turned out that general relativity permitted the existence of another type of wormhole. In 1955, American physicist John Wheeler showed that it was possible to connect two regions of space in our universe, which would be far more useful for fast intergalactic travel. He coined the catchy name wormhole to add to black holes, which he can also take credit for. 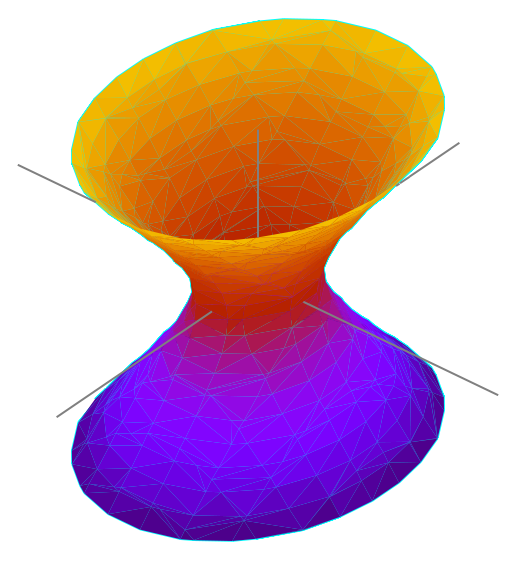 The trouble is the wormholes of Wheeler and Einstein and Rosen all have the same flaw. They are unstable. Send even a single photon of light zooming through and it instantly triggers the formation of an event horizon, which effectively snaps shut the wormhole. Bizarrely, it is the American planetary astronomer Carl Sagan who is credited with moving the field on. In his science fiction novel, Contact, he needed a quick and scientifically sound method of galactic transport for his heroine – played by Jodie Foster in the movie. Sagan asked theorist Kip Thorne at the California Institute of Technology in Pasadena for help, and Thorne realised a wormhole would do the trick. In 1987, he and his graduate students Michael Morris and Uri Yertsever worked out the recipe to create a traversable wormhole. It turned out that the mouths could be kept open by hypothetical material possessing a negative energy. Given enough negative energy, such a material has a repulsive form of gravity, which physically pushes open the wormhole mouth. Negative energy is not such a ridiculous idea. Imagine two parallel metal plates sitting in a vacuum. If you place them close together the vacuum between them has negative energy – that is, less energy than the vacuum outside. This is because a normal vacuum is like a roiling sea of waves, and the waves that are too big to fit between the plates are naturally excluded. This leaves less energy inside the plates than outside. Unfortunately, this kind of negative energy exists in quantities far too feeble to prop open a wormhole mouth. Not only that but a Thorne-Morris-Yertsever wormhole that is big enough for someone to crawl through requires a tremendous amount of energy – equivalent to the energy pumped out in a year by an appreciable fraction of the stars in the galaxy. Back to the drawing board then? Not quite. There may be a way to bypass those difficulties. All the wormholes envisioned until recently assume that Einstein’s theory of gravity is correct. In fact, this is unlikely to be the case. For a start, the theory breaks down at the heart of a black hole, as well as at the beginning of time in the big bang. Also, quantum theory, which describes the microscopic world of atoms, is incompatible with general relativity. Since quantum theory is supremely successful – explaining everything from why the ground is solid to how the sun shines – many researchers believe that Einstein’s theory of gravity must be an approximation of a deeper theory. Cosmologists and particle physicists have over the last decade or so proposed the existence of Dark Matter. It’s so called because it cannot be seen or sensed directly. It is inferred from gravitational effects on visible matter. Together with it’s theoretical cousin, Dark Energy, the two were hypothesized to make up most of the universe. In fact, the regular star-stuff — matter and energy — of which we, our planet, solar system and the visible universe are made, consists of only a paltry 4 percent. Dark Matter and Dark Energy were originally proposed to account for discrepancies in calculations of the mass of large objects such as galaxies and galaxy clusters, and calculations derived from the mass of smaller visible objects such as stars, nebulae and interstellar gas. The problem with Dark Matter is that it remains elusive and for the most part a theoretical construct. And, now a new group of theories suggest that the dark stuff may in fact be an illusion. The mysterious substance known as dark matter may actually be an illusion created by gravitational interactions between short-lived particles of matter and antimatter, a new study says. Dark matter is thought to be an invisible substance that makes up almost a quarter of the mass in the universe. The concept was first proposed in 1933 to explain why the outer galaxies in galaxy clusters orbit faster than they should, based on the galaxies’ visible mass. At the observed speeds, the outer galaxies should be flung out into space, since the clusters don’t appear to have enough mass to keep the galaxies at their edges gravitationally bound. So physicists proposed that the galaxies are surrounded by halos of invisible matter. This dark matter provides the extra mass, which in turn creates gravitational fields strong enough to hold the clusters together. The quantum vacuum is the name physicists give to what we see as empty space. According to quantum physics, empty space is not actually barren but is a boiling sea of so-called virtual particles and antiparticles constantly popping in and out of existence. Antimatter particles are mirror opposites of normal matter particles. For example, an antiproton is a negatively charged version of the positively charged proton, one of the basic constituents of the atom. When matter and antimatter collide, they annihilate in a flash of energy. The virtual particles spontaneously created in the quantum vacuum appear and then disappear so quickly that they can’t be directly observed. In his new mathematical model, Hajdukovic investigates what would happen if virtual matter and virtual antimatter were not only electrical opposites but also gravitational opposites—an idea some physicists previously proposed. “Mainstream physics assumes that there is only one gravitational charge, while I have assumed that there are two gravitational charges,” Hajdukovic said. According to his idea, outlined in the current issue of the journal Astrophysics and Space Science, matter has a positive gravitational charge and antimatter a negative one. That would mean matter and antimatter are gravitationally repulsive, so that an object made of antimatter would “fall up” in the gravitational field of Earth, which is composed of normal matter. Particles and antiparticles could still collide, however, since gravitational repulsion is much weaker than electrical attraction. While the idea of particle antigravity might seem exotic, Hajdukovic says his theory is based on well-established tenants in quantum physics. According to theory, there are countless electric dipoles created by virtual particles in any given volume of the quantum vacuum. All of these electric dipoles are randomly oriented—like countless compass needles pointing every which way. But if the dipoles form in the presence of an existing electric field, they immediately align along the same direction as the field. According to quantum field theory, this sudden snapping to order of electric dipoles, called polarization, generates a secondary electric field that combines with and strengthens the first field. Hajdukovic suggests that a similar phenomenon happens with gravity. If virtual matter and antimatter particles have different gravitational charges, then randomly oriented gravitational dipoles would be generated in space.